A new step in cancer immunotherapy: researchers from the Netherlands Cancer Institute and University of Oslo/Oslo University Hospital show that even if one's own immune cells cannot recognize and fight their tumors, someone else's immune cells might. Their proof of principle study is published in the journal Science on May 19th. The study shows that adding mutated DNA from cancer cells into immune stimulating cells from healthy donors create an immune response in the healthy immune cells. Inserting the targeted components from the donor immune cells back into the immune cells of the cancer patients, the researchers were able to make cancer patients' own immune cells recognize cancer cells. The extremely rapidly developing field of cancer immunotherapy aims to create technologies that help the body's own immune system to fight cancer. 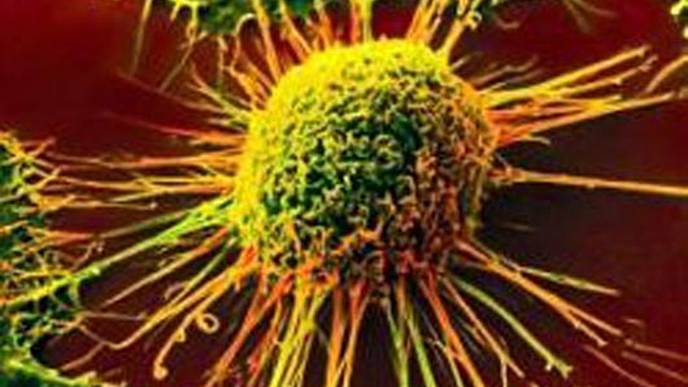 There are a number of possible causes that can prevent the immune system from controlling cancer cells. First, the activity of immune cells is controlled by many 'brakes' that can interfere with their function, and therapies that inactivate these brakes are now being tested in many human cancers. As a second reason, in some patients the immune system may not recognize the cancer cells as aberrant in the first place. As such, helping the immune system to better recognize cancer cells is one of the main focuses in cancer immunotherapy. Ton Schumacher of the Netherlands Cancer Institute and Johanna Olweus of the University of Oslo and Oslo University Hospital decided to test whether a 'borrowed immune system' could "see" the cancer cells of the patient as aberrant. The recognition of aberrant cells is carried out by immune cells called T cells. All T cells in our body scan the surface of other cells, including cancer cells, to check whether they display any protein fragments on their surface that should not be there. Upon recognition of such foreign protein fragments, T cells kill the aberrant cells. As cancer cells harbor faulty proteins, they can also display foreign protein fragments - also known as neoantigens - on their surface, much in the way virus-infected cells express fragments of viral proteins. To address whether the T cells of a patient react to all the foreign protein fragments on cancer cells, the research teams first mapped all possible neoantigens on the surface of melanoma cells from three different patients. In all 3 patients, the cancer cells seemed to display a large number of different neoantigens. But when the researchers tried to match these to the T cells derived from within the patient's tumors, most of these aberrant protein fragments on the tumor cells went unnoticed. Next, they tested whether the same neoantigens could be seen by T-cells derived from healthy volunteers. Strikingly, these donor-derived T cells could detect a significant number of neoantigens that had not been seen by the patients' T cells. "In a way, our findings show that the immune response in cancer patients can be strengthened; there is more on the cancer cells that makes them foreign that we can exploit. One way we consider doing this is finding the right donor T cells to match these neoantigens. ", says Ton Schumacher. "The receptor that is used by these donor T-cells can then be used to genetically modify the patient's own T cells so these will be able to detect the cancer cells". "Our study shows that the principle of outsourcing cancer immunity to a donor is sound. However, more work needs to be done before patients can benefit from this discovery. Thus, we need to find ways to enhance the throughput. We are currently exploring high-throughput methods to identify the neoantigens that the T cells can "see" on the cancer and isolate the responding cells. But the results showing that we can obtain cancer-specific immunity from the blood of healthy individuals are already very promising", says Johanna Olweus.